When setting out, the goal was to deliver a Zelazny-style Damnation Alley experience in the Fallout universe (if you haven't read Damnation Alley, I highly recommend it, and recommended the same with our DLC team). Marvel did a more recent take on it with Old Man Logan, and that was a great spin on Damnation Alley as well. 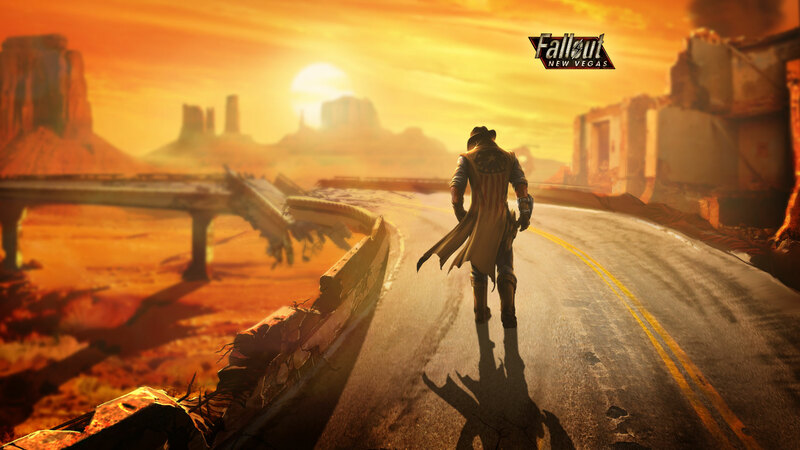 In short, the idea for this last DLC would be the player would be contracted to travel one of the most dangerous roads in the wasteland, the goal a linear one - head for the setting sun, starting at point A, and try to survive to reach point B. In an original draft, we tried to think what payment would work for accepting such a job and what you would carry, when it occurred to us that the player may simply want to satisfy their curiosity about the past and who's been hunting you all this time. So we left it at that. As for what that means for the Wasteland afterward? Who knows. While the finale of New Vegas proper ends at the second battle of Hoover Dam, traveling into your character's history, into the past of the Courier and of the Fallout world, was still a narrative road open to us. Den kompletten Text findet ihr auf Bethesdas Fallout Website.